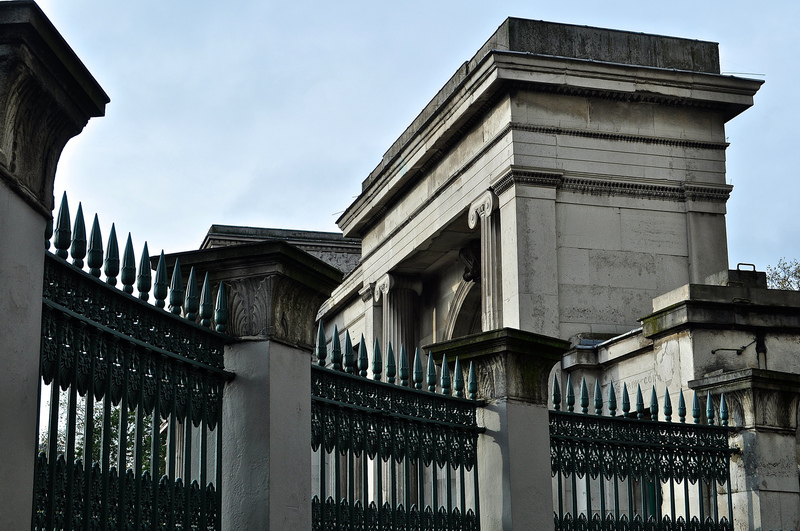 With all the furore concerning the upcoming anniversary of the Battle of Waterloo and the Napoleonic Wars, it seemed an appropriate time to visit the Duke of Wellington’s home in Central London – sometimes referred to simply as Number One London. 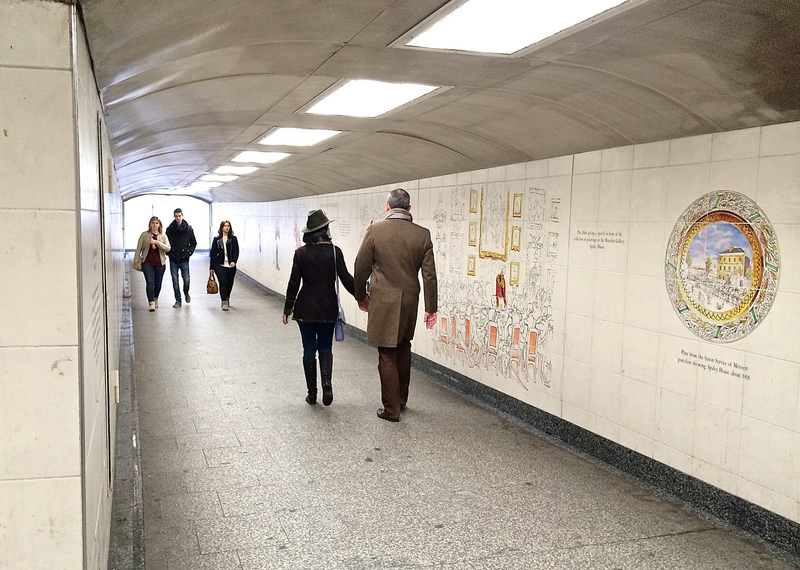 My friend Gill insisted on our walking through the pedestrian tunnels and I am so pleased we did. 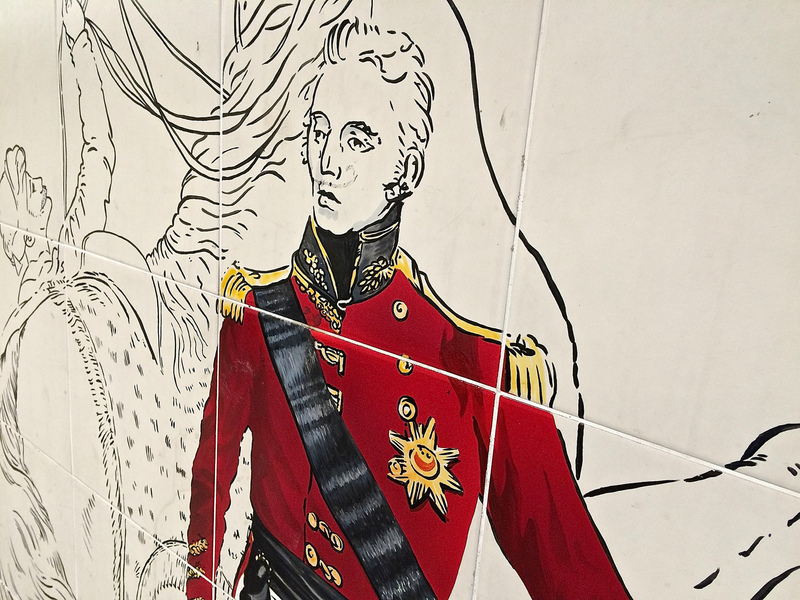 The tunnels are decorated with the story of Wellington’s life and of London itself – those lovely little snippets that you enjoy discovering. It makes for a graceful introduction to the importance of the Duke amongst his contemporaries – the great warrior liberator of Europe. Breaking cover, you will swiftly find that Apsley House (to give it its proper name) is today located on the traffic island which is Hyde Park Corner but despite the horror of its surroundings, it retains an elegance of line in its architecture – just such a shame that on the day we visited, it was overcast and raining. Anyway, back to the location of this House on London’s busiest thoroughfare. 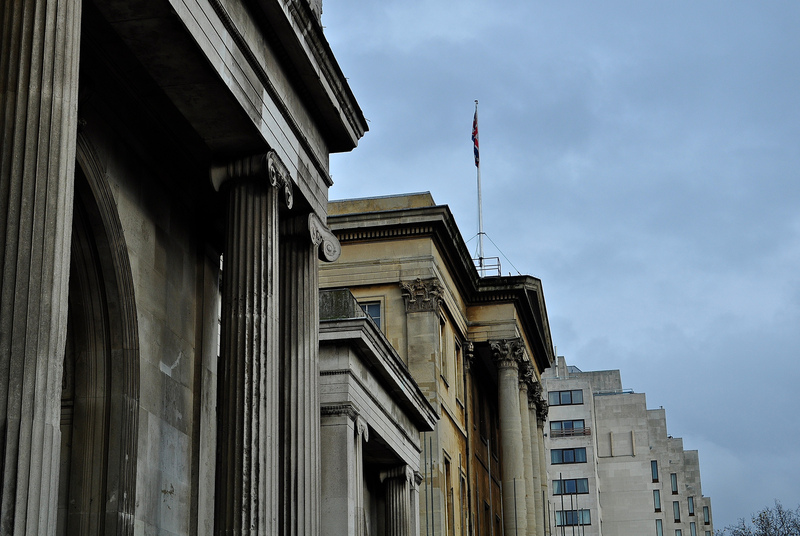 When you take time to look properly, the position does not detract from the fine neo-classism of the exterior nor from the magnificent Robert Adam interiors, much of which (despite reworking by Benjamin Dean Wyatt) can still clearly be seen. There are no photographs of the interior as this is not permitted however I can report that it has a magnificence about it – a real wow factor in fact – and more silver plate, precious gifts and dinner services than you are likely to see anywhere else. These were of course the gifts of a grateful nation for leading the European alliance to defeat Napoleon – from emperors, kings and queens, governments … and perhaps more surprisingly, elaborate gifts commissioned by public subscription. 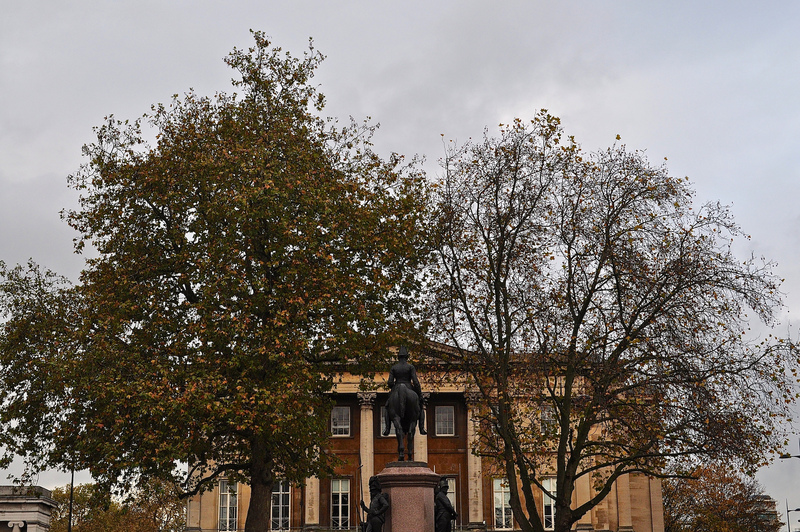 There’s even a good collection of paintings and sculptures of Napoleon himself and his family – the spoils of war. In all, there’s a collection of nearly 3,000 fine paintings, sculptures, works of art, swords, batons and orders. When he lived in London, the Duke regularly held banquets with the powerful and it’s hard to visualise now but the crowds used to throng outside apparently, just to catch a glimpse of the Iron Duke. 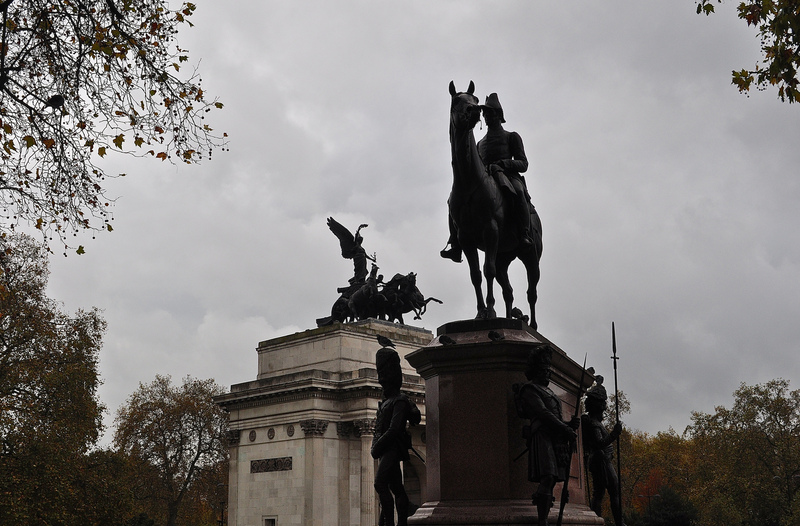 Having visited Apsley House, we strolled across the road to view Wellington’s statue (currently being renovated like the exterior of the House) and ended up visiting the Wellington Arch and looking out from its summit across London. 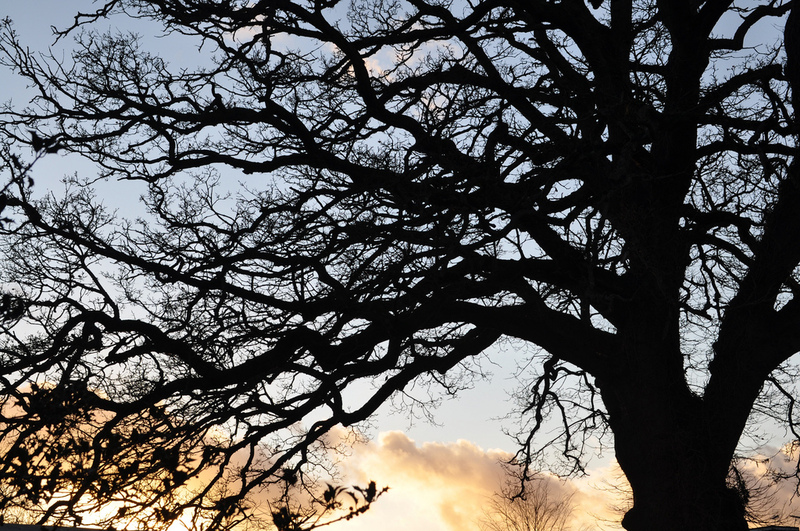 The story of its construction is absolutely fascinating and well told. I might just have to revisit in more clement weather. More about this arch in next week’s blog post. 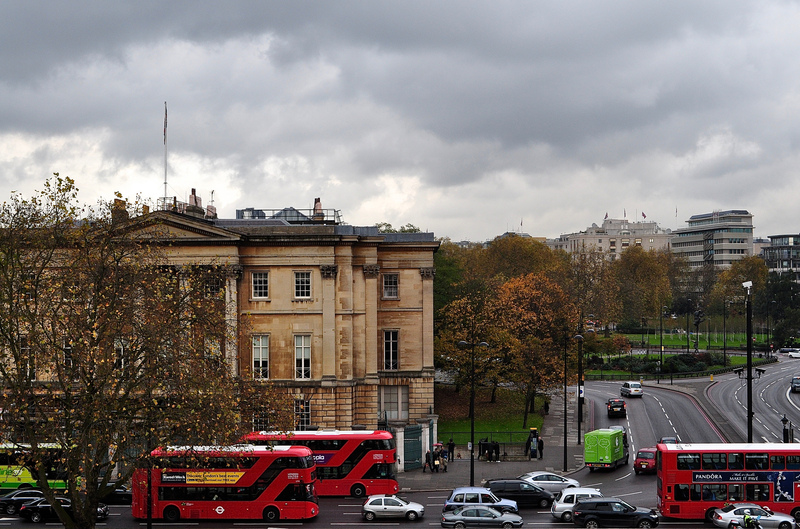 Both Apsley House and the Wellington Arch are maintained by English Heritage and entrance is free to members. 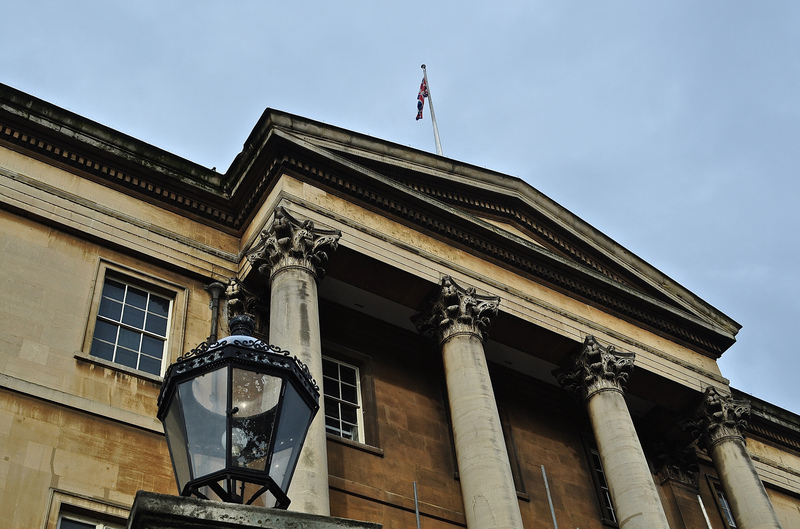 For non-members, the adult entrance to the House is GBP6.90 and to the Arch is GBP4.20. A joint ticket is available at GBP8.90. 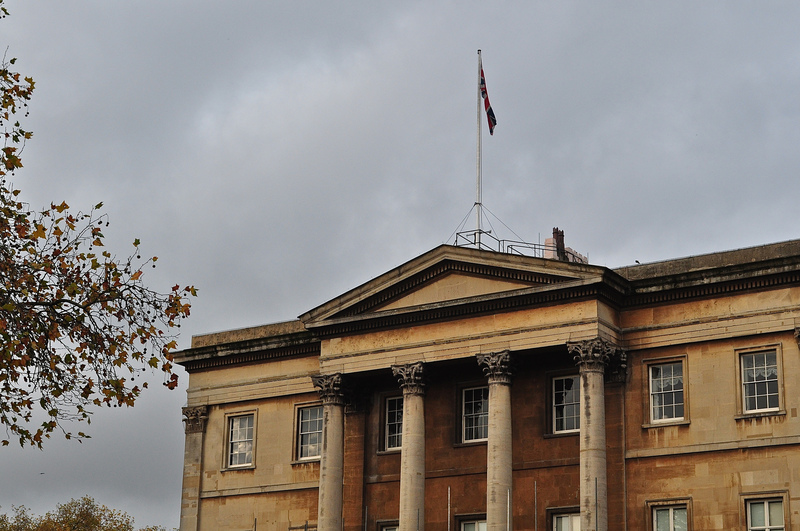 Surprisingly, and perhaps uniquely, the Dukes of Wellington still live in the private apartments of Apsley House. 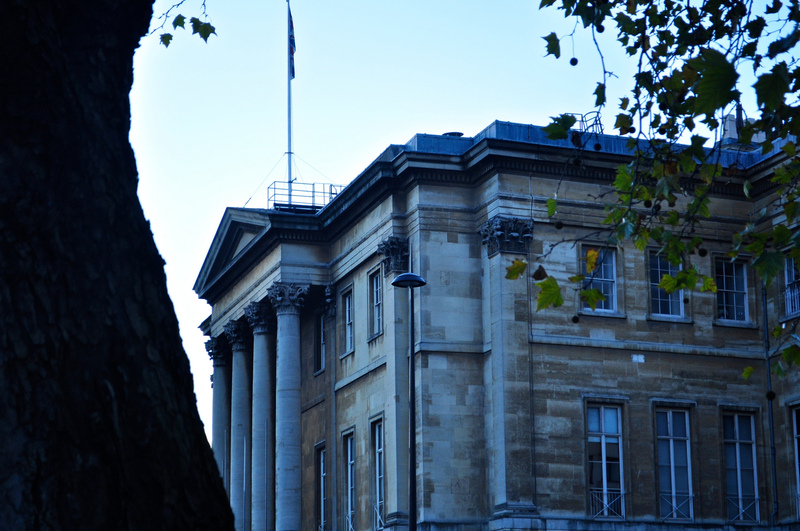 Apsley House, 149 Piccadilly, Hyde Park Corner, London, W1J 7NT.